People work in projects to produce something for people. The problems in projects are human problems. For every technical, financial or schedule problem there is a human problem behind it . The most important resource any company has are its people. An important element in managing a complex project is knowing how to manage your most valuable asset - your human resources. Probably the greatest challenge that is presented by a global project is the management of the human resource pools. This is true at a macro (overall staffing levels) and micro (delegation of work to labor pools) level. Human resource management is now assuming a greater role to strategic business partners. Successful companies realize that true competitive advantage lies in their people. They have been forced to redefine their responsibilities and develop a compelling response for critics who dispute human resource’s value to the bottom-line. I would say Human Resource Management is the key to success in any project. A team can make or break the project. Effective Project Managers must possess strong organizational skills. They must motivate others to work on low-grade work; they must energize them to work harder and put more effort into their work; they should inspire others to invent new things; they should build job satisfaction for others and help them reach self-actualization. Human Resource Management is a serious business. Low team morale is a hindrance to success in any project and it is the Manager’s responsibility not only to ensure that the project is successful, but also see that the team is satisfied. in any Project based on varying priorities and parameters. Based on my experience in different countries such as US, UK, Germany, Thailand and India I have set out below what we need to do to have a good, effective team. I have looked at four types of teams with different drivers and skills. High Priority, Very large project team size; scarce skills; differing organizational goals and project cultures, wide experience requirements; Team is scattered in multiple countries. Provide active sponsorship, leadership and senior management oversight. Managers need to become more flexible in respect of "ownership" of staff, sharing responsibilities for staff assignment, staff development, synchronizing project and routine business activities, and collaborate effectively with other project managers. Identifying language requirements and provide adequate training to team members . Ensure a project management culture that requires all staff to focus more on roles and tasks, and less on formal grades and hierarchy. It requires staff and management to be flexible in respect of time management, multi-tasking, and self-development. Carry out organization level program combining formal and on-the-job training to give new employees the knowledge and skills to become qualified for the required working level. A Web site/Team Room can create a sense of connection and help distant employees exchange information. Emphasize good communications, metrics, and issue/problem resolution. Articulate strategy and plan for achieving team goals. Get Senior Management support to meet those. Define key result areas, performance objectives and measures, action plans, and accountability for results. Medium sized team; divergent organizational groups; available skills and staffing; familiar with project culture. Delegate to workgroups, build ownership and establish success metrics. Early involvement of team in planning process. Promote team ownership of integrated solutions. Develop career models that provide a framework for assessing individual capabilities, development planning, and progression. Set high standards and lead by example. Monitor adequacy of staffing and report status to project sponsor. Taking team for parties, lunch, dinner is a hygiene factor and not a motivational factor so there is a greater need to help them get job satisfaction. No matter what sort of project you are managing, the human resource side is one that requires constant attention. 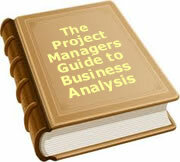 It is suggested that you decide which of the four types of project best fits you situation. Print off the list for that project and quietly evaluate your own performance as a project manager. How many of the points are you adequately addressing, and where are the areas for improvement. To date, 10 people have rated this article. The average rating is 4.00 - Add your rating. Just select a rating and click the button. No other information required.